In a cocktail shaker without ice, combine Mahia, pomegranate juice, lemon juice, and honey syrup. Add an egg white, a dash of orange bitters, and a dash of Angostura bitters. Shake all that up without ice — the “dry shake,” to fluff up the egg white — then add ice and shake again. 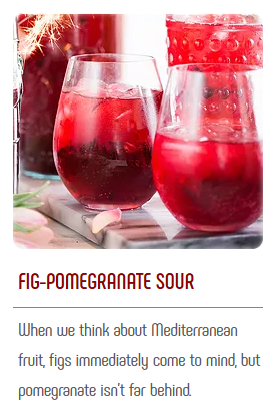 Strain into a chilled cocktail glass and garnish with 1/2 a fig and a fresh grating of cinnamon.